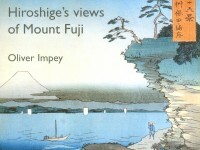 This series, one of Hiroshige’s most successful, was issued late in his life, when some of the prints may have been designed by his son-in-law, Hiroshige II; it was followed by the "Thirty-six views of Mount Fuji”. 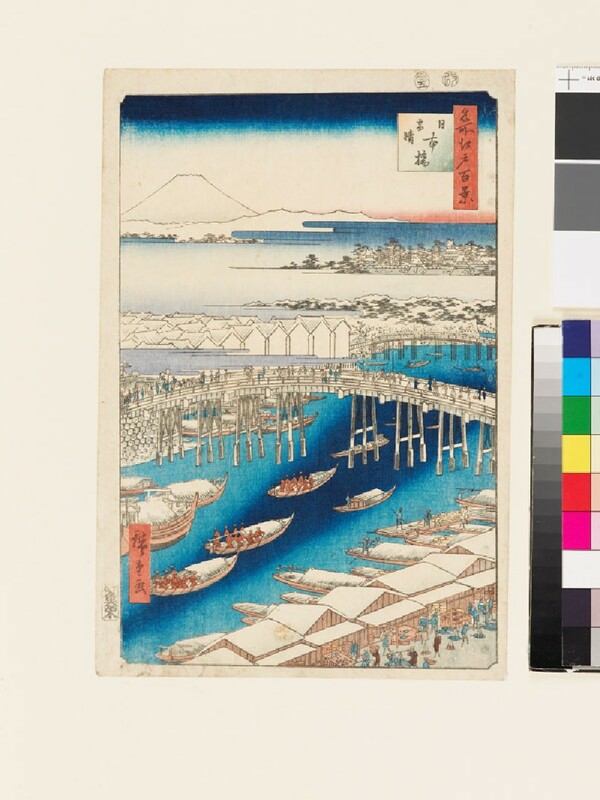 The scene here contrasts with the previous print [EAX.4834]; here the bright sunshine following a night of snow enables on to see Fuji looking far too large for the great distance (some 100 kilometres); this is the geographical centre of Tokyo. Nihonbashi is at the centre of downtown Tokyo; just as it was in Hiroshige's time. It was that point from which all distances in Japan were measured, and was the first of the 'Stations' of the Tokaido and the Kisokaido roads, though never counted in the total of fifty-three or sixty-nine respectively.